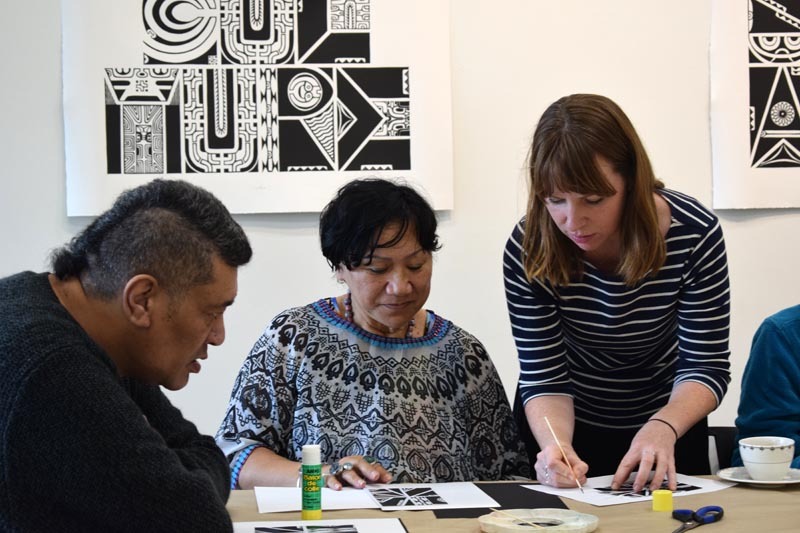 Connect the Dots, an Auckland charity running art classes and workshops for older people and people living with dementia, is working towards an exhibition in 2019 aimed at reducing stigma and social isolation and showing what people living with dementia have to offer. Connect the Dots was co-founded in 2014 by art educators Andrea Gaskin and Selina Anderson. It grew out of a shared passion they have for the arts and creativity, and their belief that the arts should be accessible for everyone. Andrea knew that the Museum of Modern Art in New York had done work in this field and so she began using their resources. The need to support people with dementia and keep their minds working as well as possible for as long as possible is of increasing importance. By 2050, it is estimated that 150,000 New Zealanders will be living with dementia – something that also affects their family and friends. According to Alzheimers New Zealand, there are currently more than 60,000 New Zealanders living with dementia. “The parts of the brain that remain untouched for the longest are the parts where imagination and creativity live, and so I believe it's a natural fit to engage people with dementia in an art programme," Andrea says. Connect the Dots’ Make Moments programme has two main parts. The first part is often an encounter with works of art that might share a common subject, genre or way of working. After that initial encounter and conversation about artworks, there is often a second event where participants practise creative skills, perhaps making something on the same theme or using a similar kind of technique. The emphasis is not on the quality of what’s produced but on the engagement with the work; with others working alongside; and with the room. 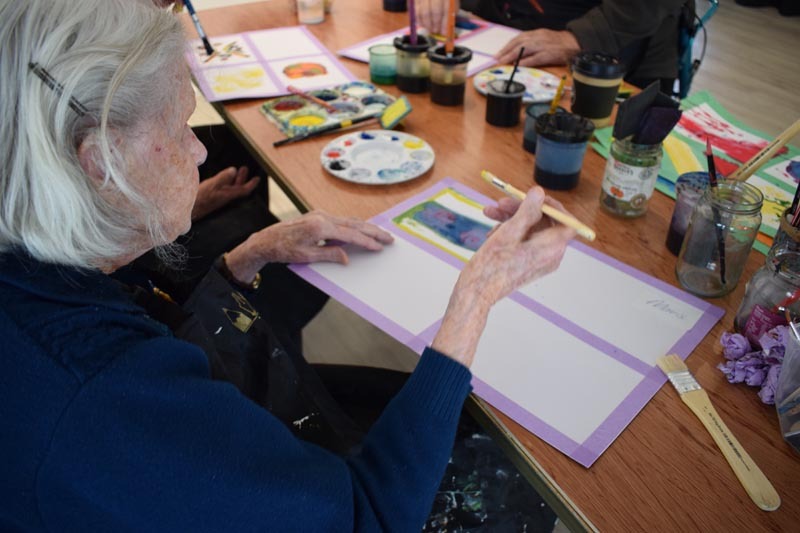 The importance of setting is a challenge for the second part of Connect the Dots’ work: encouraging the use of art conversations and workshops with more advanced dementia sufferers less able to leave their care homes. Beyond that, Connect the Dots has other targets. An evaluation of its work last year showed there was a desire among participants to have their creative work seen. 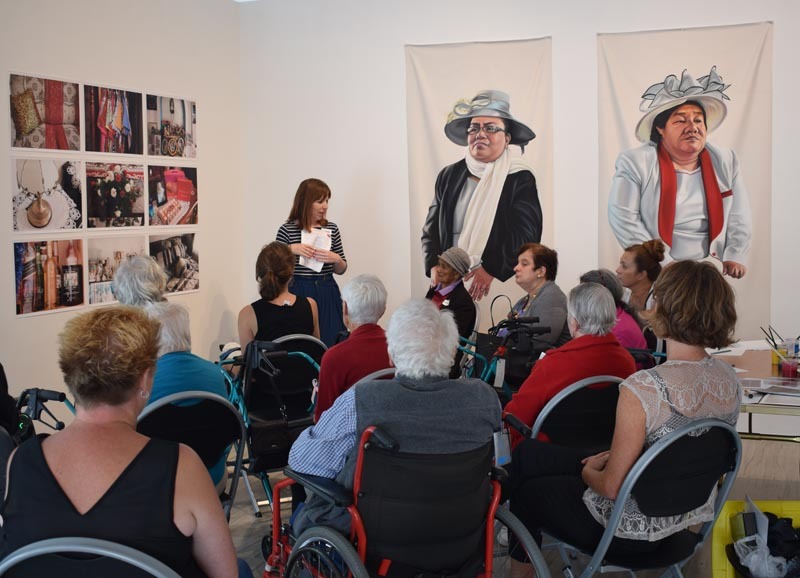 Depending on funding, the project would involve people with dementia “buddying up” with a young artist and working towards an exhibition. They are also planning a video project, employing a documentary filmmaker to explore with participants what creativity means for them. Connect the Dots is keen to offer first-language opportunities for people with dementia and their families for whom English is not their first language. That requires researching Auckland demographics to establish which languages would be of most benefit. Connect the Dots is a member of the Arts For All Auckland Network, facilitated by Arts Access Aotearoa. 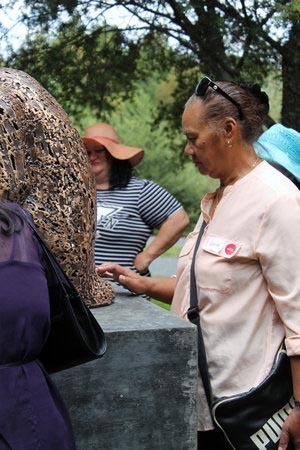 If you would like to become a member, please contact Claire Noble (T: 04 802 4349 E: claire.noble@artsaccess.org.nz). Original generation time 1.7226 seconds. Cache Loaded in: 0.0004 seconds.